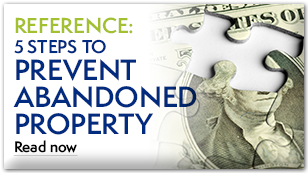 What’s the underlying cause of your unclaimed property issues? 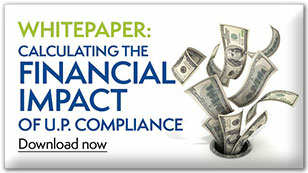 Because state offices were lax in enforcement of unclaimed property and escheatment laws for years, many companies do not have built-in policies and processes to ensure compliance. Holder organizations often don’t suspect they are out of compliance until they acquire a subsidiary, hear about unclaimed property in the news or receive notice of an audit. Some escheat more than they need to by law. The results in either case can be costly and stressful. MarketSphere long ago identified early assessment as an important step to identify gaps, polish compliance processes and policies and mitigate audit risks. Using results of an assessment, you’ll establish proper escheatment practices, which can lead to a reduction of management costs, escheatment amounts and audit penalties. Assessment can even help improve general recordkeeping, streamline day-to-day operation and help protect a company’s reputation. Problems with due diligence and reporting are symptoms of deeper issues that won’t go away on their own. 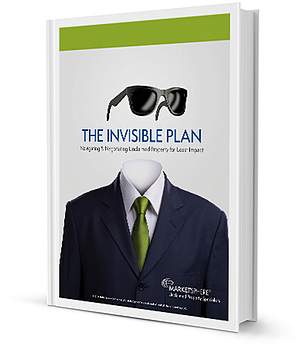 Get to the root of your unclaimed property problems. 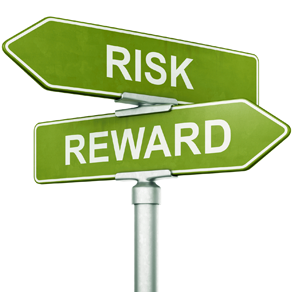 Address underlying causes through professional risk assessment. 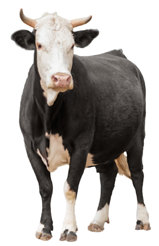 Too much focus on surface problems, rather than digging into underlying causes of UP is like the farmer who keeps having to round up the cattle because he hasn’t fixed the latch on the fence. MarketSphere’s aim is to help you fix the fence. MarketSphere was first in the industry to create proprietary technology that helps holders manage unwieldy unclaimed property and escheatment demands. We have continued to modify technology tools to fit changing client needs and keep up with the industry. From the beginning, we’ve captured information about customers’ unclaimed property experiences, and now we offer the best historical data in the industry to help anticipate your future unclaimed property risks. 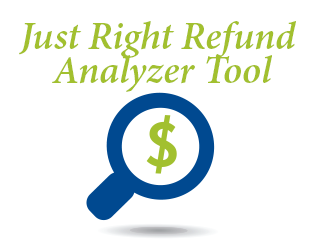 Another MarketSphere technology, the Just Right Refund® Analyzer Tool, automatically analyzes exemptions, reviewing and comparing your records with state statutes, so you pay only what you owe—and maybe even regain past overpayments. I was particularly pleased with the way your team conducted this work with minimal impact to our personnel.